Leo Szilard later recalled it this way: "I was the oldest of three children, and we lived in a house which belonged... originally to my grandparents. Then it was inherited by three sisters, of whom my mother was one, and each sister had a whole floor. 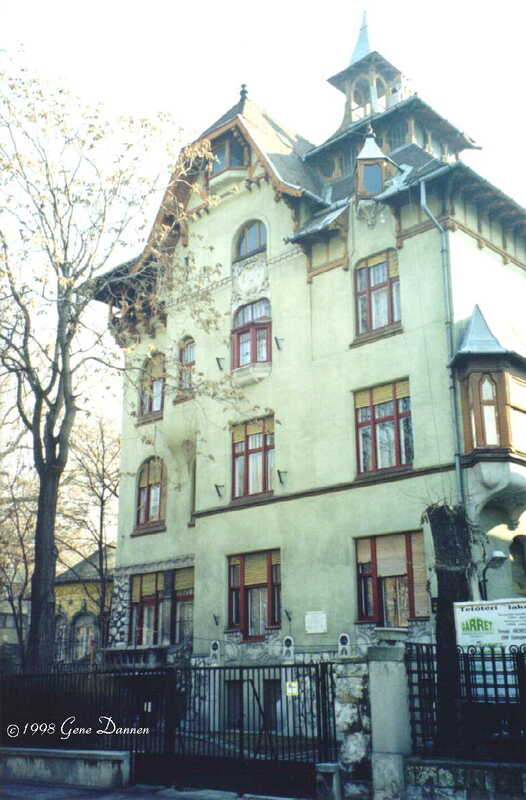 It was a house with a large garden in the cottage district of Budapest." Later years would bring financial hardship to the family, but the years of Leo's childhood were prosperous and happy. Behind the house, the large back yard provided a safe place for the children to play. 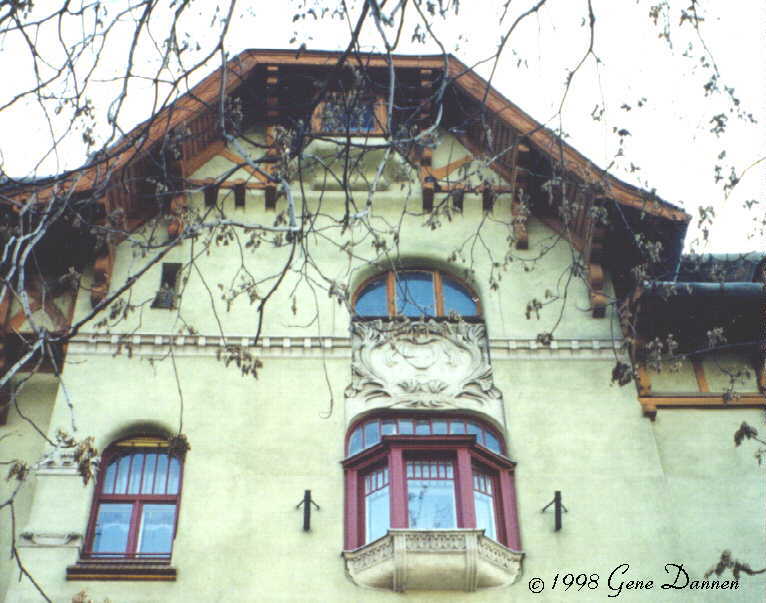 In front of the house, the broad street was lined with chestnut trees and travelled by horse-drawn carriages. 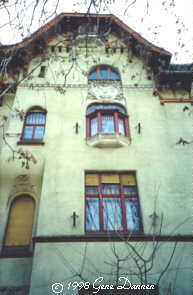 A plaque on the front of the house commemorates its famous resident. "In this house," it begins, "grew up Leo Szilard..."
The house is no longer a private residence. 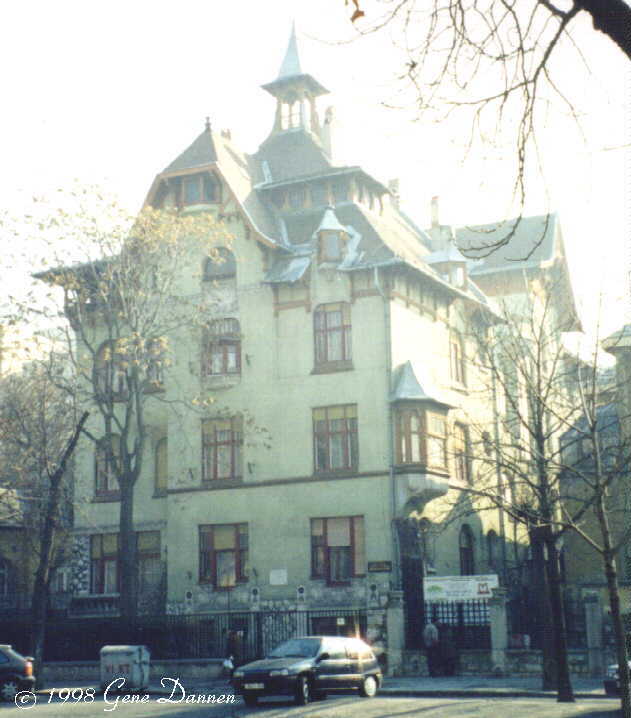 It is now a dormitory for music students (Liszt Ferenc Zenemüvészetiföiskola, Bartók Béla Kollégiuma). To visit the house, take the subway (M1, yellow line) to the stop at Bajza utca. You will be at the corner of Andrássy and Bajza. Walk southeast on Bajza 300 meters to Városligeti Fasor. 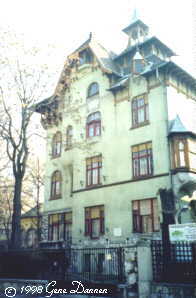 The house, at number 33, is near the corner. Please do not disturb the residents. 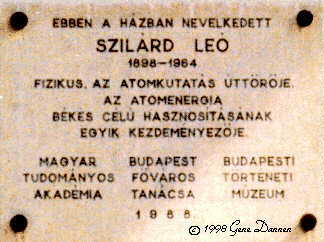 Szilard quotation from Weart and Szilard, Leo Szilard: His Version of the Facts, Selected Recollections and Correspondence, page 4. Other details are based on interviews with Bela Silard, and on Louis Szilárd, Recollections (English translation by Bela Silard), unpublished manuscript courtesy John Silard.